Open Monday-Saturday 9 a.m.-5 p.m., Sunday 1 p.m.-5 p.m. This type of "roller" mill, know as "the grand daddy of the modern mill" became important in this area with the introduction of hard winter wheat in 1870s. 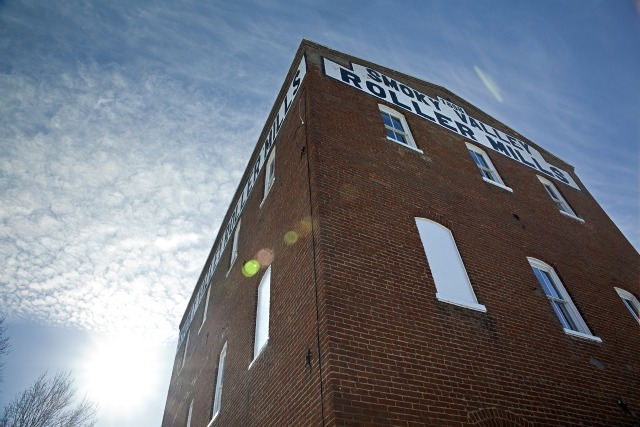 Until 1955, the mill operated as a business, sending flour to places around the world. Four to six people were needed to operate the mill. It processed 30-35 bushels of wheat per hour, which yielded 1260 to 1470 pounds of flour per hour. Efforts to restore the mill to operating condition began in the 1960s and the restoration process was completed in 1981. The mill is a finalist for the 8 Wonders of Kansas! History.